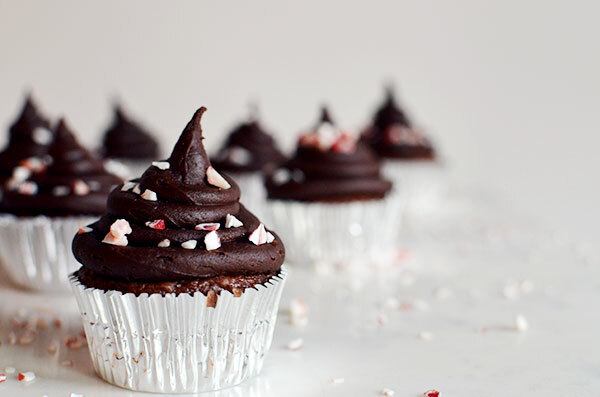 Today marks the last day of my chocolate peppermint baking journey (well maybe not the last last as I’ll be sharing another recipe over on Lark and Linen’s blog soon, but it’s the last day on my blog) so why not go with a bang. Or rather a kiss. 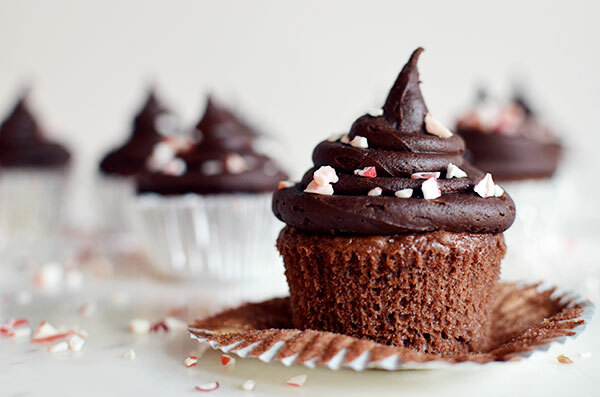 I give you Chocolate Peppermint Kiss Cupcakes. Line standard muffin pan with paper liners. Place 1 kiss in the center of each paper liner. In a large mixing bowl whisk together sugar, flour, cocoa powder, baking soda, baking powder, and salt. Add buttermilk, vegetable oil, and 1 1/2 cups warm water; whisk to combine. Add eggs, vanilla extract, and peppermint extract and whisk until smooth. Transfer to wire rack and let completely cool. Frost with CK Products Chocolate Buttercream Frosting. I've tried numerous buttercream frosting recipes and brands, however CK Products Buttercream Frosting is by far the BEST I've ever tasted! That looks delicious. I will have to try that frosting recipe. I usually make my own. However, I’m always looking for a way to save time! These look great! I’ve just started fully appreciating peppermint as a holiday ingredient this year, and I hope I have time to try and bake these goodies to break up the monotony of the same desserts I have every year.